I can’t tell you how many times I’ve started a project and abandoned it after an inch or two of knitting because I didn’t like how it was looking. How many of those projects might have turned out okay if I had continued knitting? 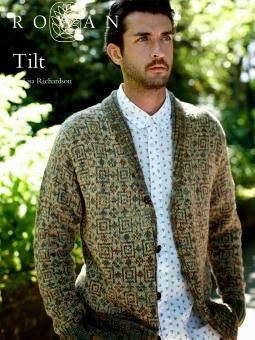 My newest project is like that…I saw a Rowan design called “Tilt” by Lisa Richardson, and it’s a Fair Isle/stranded knitting design using two different tweedy yarns (Summerspun and Revive) and the colors sometimes overlap in ways that make them look quite similar. So even though I’m knitting a design in a different colorway, the differentiation in color doesn’t look like I’ve changed color at all. But, just like the subtle differences that are noticeable when there is a dye-lot change in yarn, the differences in colors are just enough to discern a pattern in the Fair Isle design. 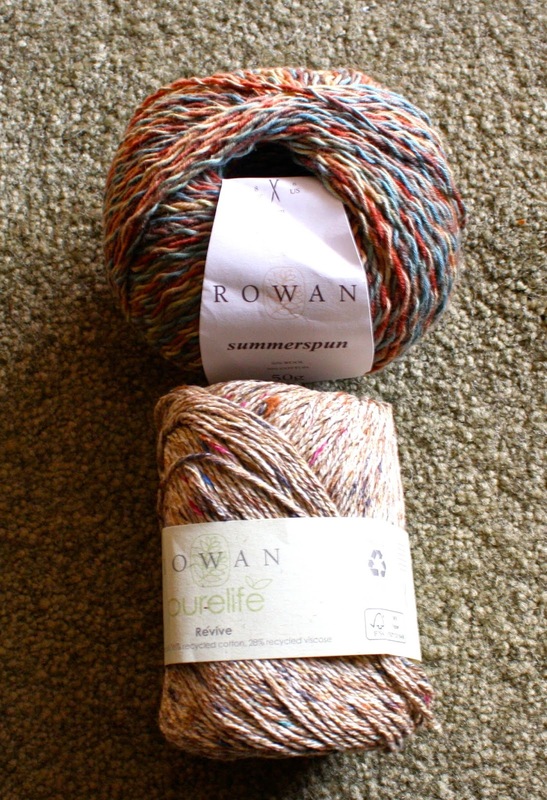 It took me a while to locate one of the Rowan yarns, but I ended up getting both yarns from two different companies in the UK. Even with shipping, I got a decent deal. I’m still not convinced, but even if the design isn’t as obvious as I’d hoped, I still like the fabric that it’s creating. I’ll press on. Yes…actually each color stripe is two rows of single crochet, with a “spiked” crochet stitch ever 7th stitch on the first row of each new color. Really quite easy, but each stripe will have two ends to weave in after the fact.